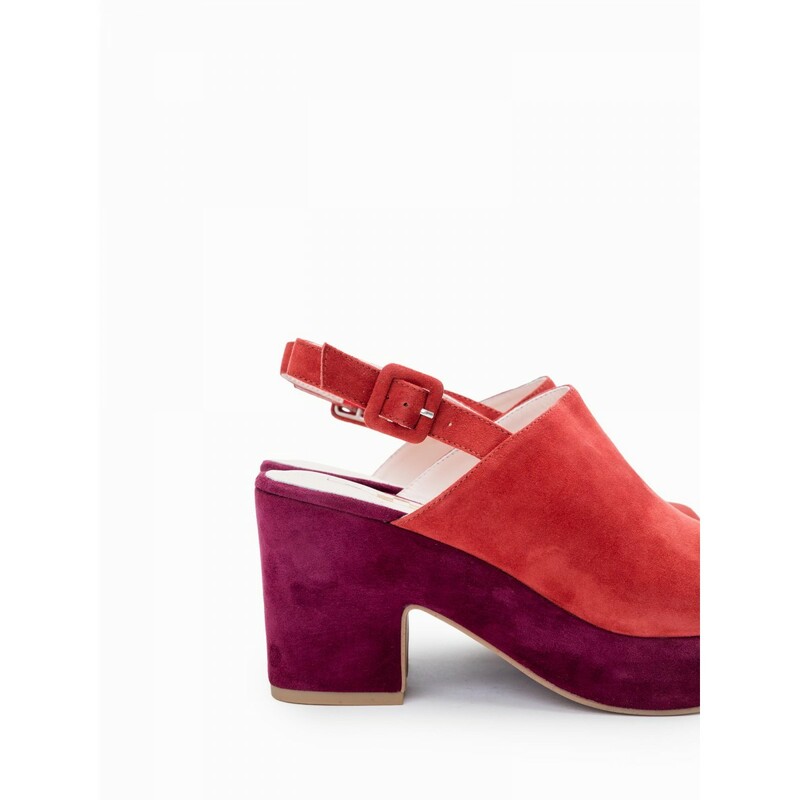 Sunny Mule - Kid Suede - Carmin, sandals for women with city-chic attitude. They close with back strap. Also available in blue and in black.